Heretic, Rebel, a Thing to Flout: Election Day at Last! Election Day is here at last. The most hotly contested mid-term contest in history, it has engendered an unprecedented wave of energy and participation, particularly among Democrats who are notorious for not showing up at the polls in non-presidential years. Republicans were said to be discouraged and disengaged a couple of months ago. Many relatively socially moderate GOP voters, especially women and educated suburbanites, were sitting it out or actually swinging to Democratic candidates. Democrats were expected to retake the House of Representatives, some governorships, and elect boatloads of state legislators in a touted Blue Wave that could reach down to even county and local offices in traditionally red turf. 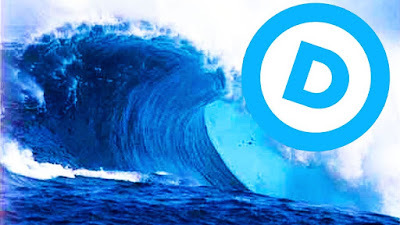 Will the highly touted Blue Wave really materialize. Democratic angst over a possible nightmare replay of the 2016 upset actually spurs energy and drives voters to the polls. For the last two months Donald Trump has worked overtime to rebuild his 2016 base—White, rural, Southern and Western, and blue collar workers in Rust Belt states and Evangelical. These are folks who feel marginalized and disrespected as well as deeply uneasy about loss of what little status and privilege the have to a rising tide of Black, Hispanic, and other minorities and culturally attacked by flaunting Gays and transgender people all backed by a Hollywood elite and—wink-wink—Jews. These voters see in Trump a strong leader who attacks their enemies and will protect the way of life regardless of how outrageous, crass, mendacious he is and oblivious to the real damage he has done to their own economic interests. The Cheeto-in-Charge has responded by flogging anti-immigration hysteria, the supposed ordeal of Brett Kavanaugh in his confirmation hearings which was portrayed as an attack on manhood itself, and other red meat issues. The migrant caravans from Central American nations destabilized by U.S. intervention and meddling became the gift-that-keeps-on-giving. Concentrating in states with hot Senate races, Trump has all but abandoned pretense of doing the work of actual governance to campaign relentlessly with his signature rallies and rambling, semi-coherent speeches featuring escalating use of fear tactics, and not-so-thinly disguised racism. He even publicly embraced nationalism making it very clear that he meant white nationalism. He succeeded in rallying his base and in recent weeks polls show rising voter enthusiasm for Trumpist Republicans. Not only were Democrats not expected to make inroads in the Senate, they were endanger of losing two, maybe more, seats all but guaranteeing a free hand in the upper chamber on judicial appointments. 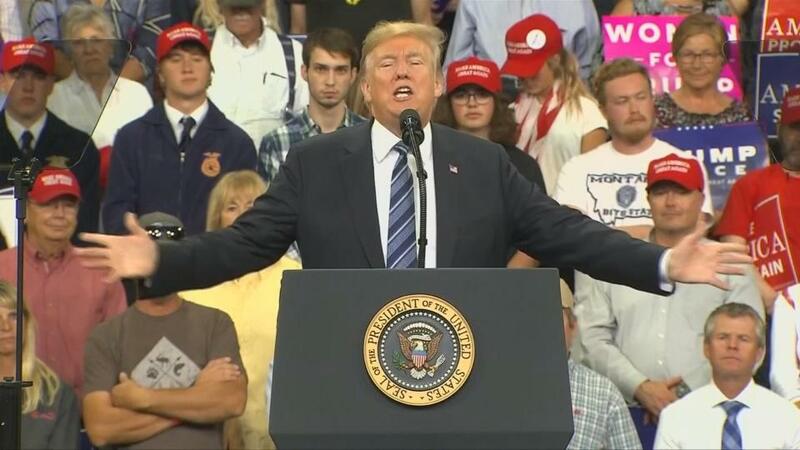 Trump stumping for Montana Senate candidate Matt Rosendalel at one of his frantic Make America Great Again rallies. Two weeks before the election the Pittsburgh Tree of Life synagogue mass murder, put a dent in the President’s popularity by resurrecting the issue of common sense gun regulation which resonates deeply among many suburban voters and by exposing the dangers of his racial and ethnic dog-whistles. How long that will continue among voters with notoriously short memories is open to question. Armed with a flurry chest-puffing stunts like sending the Army to the border to repel a supposed invasion of maybe 3000 wretched refugees still hundreds of miles and weeks away, Trump redoubled his campaign circus, scheduling three or more daily rallies in battle ground states, making multiple appearances in West Virginia, Florida, Missouri, Indiana, Montana, and Arizona. Nationally it has become an election of bases. But while Trump can only rally his personal core base, Democrats are aggressively expanding theirs by running record numbers of fired-up women—many of the political novices as well as a slew of veterans, Black and Latino candidates. Aggressive voter registration and get-out-the-vote campaigns aim at attracting millions of new voters especially Hispanics, women, and Millennials and younger folks fired up by school shootings and attacks on the LGBTQ community. There is substantial evidence that this effort is paying off. Georgia Secretary of State Brian Kemp oversees elections and voting in the state. He is the force behind multiple voter suppression efforts including the exact match requirement called out in this Facebook meme. As candidate for Governor he also reaps the benefit. Republicans have countered with ever bolder efforts at voter suppression. Thousands of voters have been purged from the rolls in battleground states like Georgia, Texas, and Florida. In Georgia thousands were denied ballot access because of a law that demands an exact match of names on the registration rolls with government issued ID cards. As little as an omitted period after an initial or the omission of a middle name caused rejection. In Texas registration of would-be voters in border areas delivered by midwives—a common practice in the barrios and rural areas—were summarily rejected. Polling places in minority communities have been eliminated or moved to inaccessible locations and many others will be assigned insufficient and often faulty voting equipment resulting in long lines and discouraging voters. In North Dakota Native American on reservations were blocked from voting because the used Post Office box addresses and had no street addresses. In early voting obsolete computer voting machines with no paper trail have been found flipping Democratic votes to Republicans in Georgia and Texas. While a spate of court orders has blocked or reversed many of these suppression efforts, many voters may be discouraged by them or not realize in time that their eligibility has been restored. 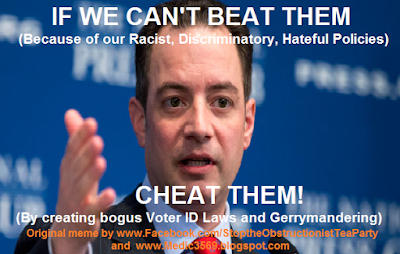 The confusion can make GOP voter suppression successful even when it is overturned in court. For many Election Day represents not just an opportunity to exercise the franchise, but a blessed relief from relentless TV political advertising, robo calls, and mail boxes stuffed full of slick campaign literature, most of it attacks on political opponents. Here in Illinois much of the advertising has been generated by the Battle of the Billionaires for Governor. Deeply unpopular Republican Governor Bruce Rauner forced the state into two and a half years without a budget resulting in slashed social services, record debt, and the downgrading of state bonds to junk status. The wealthy investor was able to fund his own campaign in 2014 setting spending records and swamping incumbent Democrat Pat Quinn. But this year he faces an even richer Democrat—J.B. Pritzker, an heir to the Hyatt Hotel fortune who has outspent him and has plenty of money left over to support Democrats down the ticket. Democrat J. 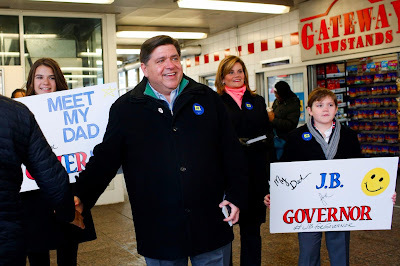 B. Pritzker campaigning for Governor. Repeating his last campaign, Rauner has tried to tie Pritzker to Illinois House Speaker and state Democratic Party Chair who has long been demonized to critical suburban and Collar County voters. The governor’s only slim chance at re-election lies in motivating those voters who may be sick of Trump to vote against the local boogie man. Rauner trails Pritzker by several points in the polls and also is losing support from some Tea Party type conservatives for signing an eventual compromise budget that included a tax hike and by Evangelicals and right-wing Catholics for squishiness on anti-abortion legislation, Gay and Transgender rights, and for signing a very limited gun regulation banning bump stocks to convert semi-automatic assault rifles to virtual machine guns. He will bleed enough support on the right to Libertarian Party standard bearer Kash Jackson and State Representative Sam McCann running on a new Conservative Party ticket to virtually preclude any Rauner come-from-behind victory. 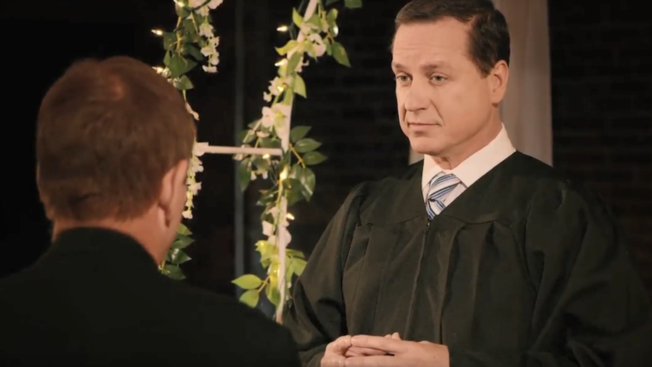 A late Rauner ad depicted a marriage between Pritzker and Speaker Madigan with the minister prounouncing Illinios "F***ed" A new low in negative advertising. Despite Rauner’s election four years ago and strong pockets of Trump supporters downstate, Illinois has become steadily deeper blue. Faced with being tied to an unpopular Governor and President, down ballot Republicans have had little choice but to ape Rauner’s tactic of trying to tie their opponents to Madigan, no matter how tenuous or ridiculous the connection. The result has been a mind-numbing string of TV attack ads featuring frightening pictures of Madigan and the fill-in-the-blank Democrat, and an ominous voice charging corruption and collusion. Not only have these ads appeared demonizing State Senator Kwame Raoul, the Democratic candidate for Attorney General, but have aired against legislative candidates on down to the county level in suburban areas—races that have seldom garnered much air play on Chicago TV stations have flooded the airways. Democrats, flush with cash from waves of individual donors, national Democratic money for hotly contested House seats, and benefiting from PAC buys by pro-choice and women’s rights groups as well as labor, and gun-control groups, have been able to match or outspend Republicans at every level. Many Democratic ads tie opponents directly to Trump, but far less consistently than the GOP uses Madigan. Rauner is largely ignored in down ticket attack ads, a sign that his doomed campaign has rendered him irrelevant. Instead Democrats have been laser focused on health care, particularly on threats to coverage of pre-existing conditions during the 60 attempts to repeal the Affordable Care Act—Obama Care. Legislative and local candidates are tied to the issue, often convicted by their own statements, but sometimes guilty by association with their party. 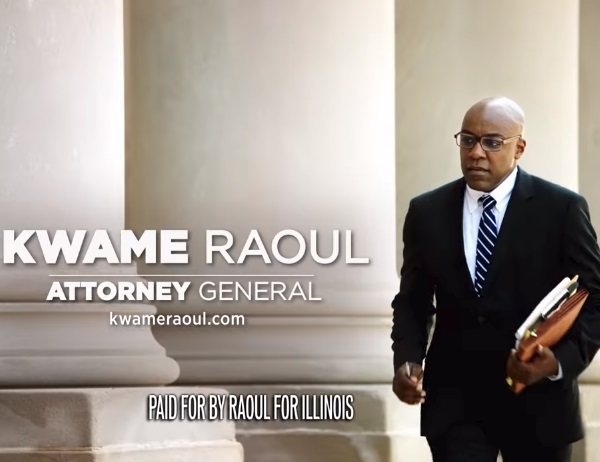 A screen shot of one of Kwame Raoul's immage building positive ads. Late in the campaign and in ads independently produced by PACs have also attacked Republicans on reproductive rights and fealty to the National Rifle Association (NRA) on access to assault weapons by criminals and the mentally ill. Kwame Raoul early on attacked his opponent Erica Harrold, a former Miss America zealous religious opponent of abortion and Gay rights, for her extremist views. 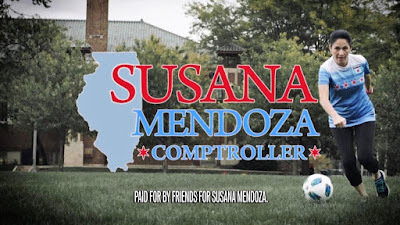 Susana Mendoza's upbeat soccer ad. Comptroller Susana Mendoza is the only other state-wide candidate to buy significant airtime. Like the other down-ticked candidates—the extremely popular veteran Secretary of State Jesse White and Treasurer Michael Frerichs her obscure Republican opponent stands and ice cube’s chance in Hell of winning election. Her single cheerful ad pictures her as a plucky fighter who played soccer with the boys. Her extensive ad buy seems motivated by an all-but-formally-announced run for Chicago Mayor next year. 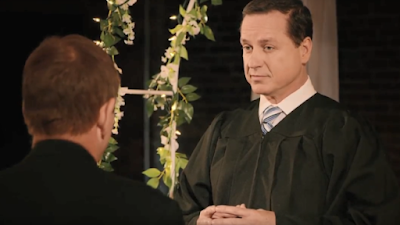 A republican attack ad pairing Sean Casten with Speaker Madigan. Here in McHenry County we are in the thick of two of the most watched Congressional races in the country. Democrats Sean Casten in the 6th District and Lauren Underwood in the 14th District stand excellent chances to upset Representative Peter Roskam and Randy Hultgren, entrenched incumbents in previously solid Red suburban districts. Casten, a scientist and an entrepreneur with an alternative energy company is running in a District that Hillary Clinton carried narrowly in 2016. Underwood is a 32 year old nurse, and former public health official in the Obama administration who has made health care and pre-existing conditions the centerpiece of her campaign. By the way, she is a Black woman running in a 92% White District. Both candidate received endorsement by major newspapers and both are emblematic of the kind citizen activist insurgents that are giving hope to Democrats across the country. Both have been ridiculously tied to Michael Madigan in attack ads despite never having been in his political orbit. Even more absurd, Underwood has been depicted as carrying water for some Madigan scheme to socialize medicine—a charge that will come as a complete surprise to Illinoisans. Most polls rate Casten a slight favorite in his district and show the 14th District race as a tossup although a New York Times Live Poll showed Underwood up 49% to 43% with 8% undecided as of November 4. 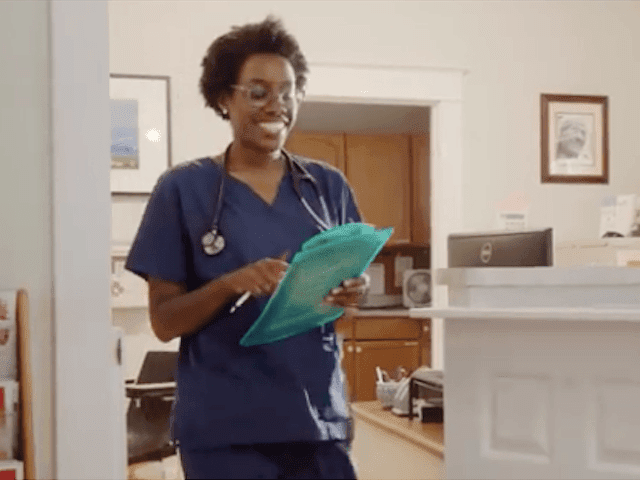 Lauren Underwood's ad stresses her background as Nurse and healthcare epxpert. If effort has anything to do with it, both candidates, and some local County candidates have a good shot at winning. Campaigns have been flooded with enthusiastic volunteers who have given Democrats an edge over Republicans who have become almost totally dependent on broadcast media, direct mail, robo calls, and simple habitual party loyalty. Democrats have been able to launch an aggressive ground game that has canvassed virtually every precinct in the county, many multiple times, staffed real-live-person phone banks, blitzed all local commuter train stations, and made far more effective use of personal social media outreach. It used to be said that conservatives would crawl over glass to vote. This year Democrats are tap dancing on the shards.